With his thick black coat, it’s a tough job keeping Bruce cool in this gorgeous weather. Rather than complain about the heat though (we don’t get this often! ), I asked around to find out how other people keep their dogs cool in summer. A friend with a British bulldog told me her dog loves crunching on ice cubes – what a great image! – while another friend with a terrier cross said she freezes carrots for her little chap to chew on. I tried both with Bruce – he loved the cold carrot but wasn’t so keen on the ice cubes. We’ve also tried frozen mashed food stuffed into a kong – Bruce enjoyed the challenge of scraping all the food out with his cold tongue. A wet towel is a good way to keep dogs cool – photo supplied by Bruce’s Grandma Shirley! Another friend told me he puts socks in the fridge and then wraps them around his labrador’s paws and pops them under her armpits. There’s a good use for the poor sock, which is surely otherwise redundant in this weather. He also pops a wet towel on the floor for her to lie on, as dogs cool down from the bottom up. Quite a few dog owners advocated the cold pack, which can be wrapped in a tea towel and popped into your dog’s bed to keep that area cool. Similarly, I have set the hairdryer to the cool setting and blown it all over Bruce’s body. He seemed to quite like it. A fan next to his bed would also work well. Yesterday, when the heat was blistering, I opened the freezer door and let Bruce lounge in front of the frozen peas and homemade burgers for a few minutes, which looked like bliss. I had to remember to come back and close it again though! One friend with a young child has rigged up a paddling pool in her garden, ostensibly for her little daughter to splash in. It seems the dog has claimed it for his own, though, and can be found lounging in the cool water of an afternoon like he’s enjoying the Mediterranean sea. We don’t have a paddling pool but Bruce did enjoy a cool shower yesterday, despite the puzzling realisation that he was being washed when he hadn’t even rolled in anything juicy. Many people are avoiding the midday walk, which seems a good idea. Bruce finds the heat quite tiring, so there’s less charging about after a ball than usual and more sedate strolling at cooler times of the day. 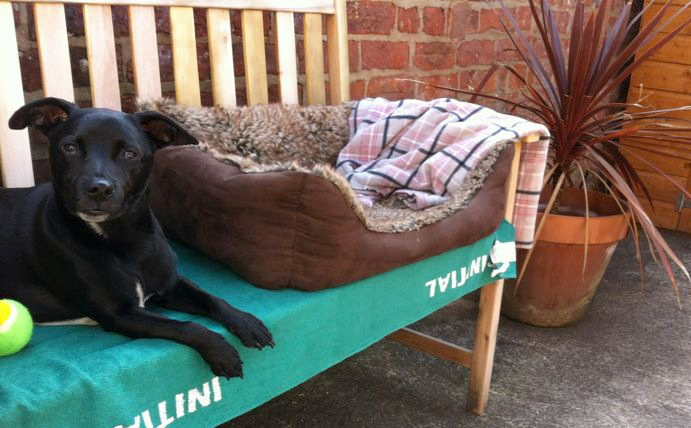 Some people have invested in doggie shoes to prevent their pup’s paws burning on the pavement – not a bad idea really, as even wooden decking in the garden can really heat up. And of course, we all know we should never leave our dogs in the car, which could be fatal in the heat. 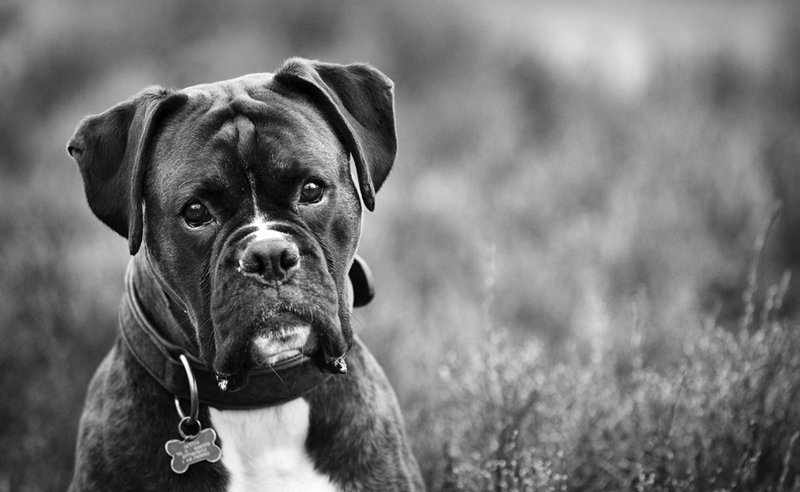 Could you be Dog Photographer of the Year 2013? If you are handy with a camera and your favourite subject is your four-legged friend, you might like to check out the Kennel Club’s competition, Dog Photographer of the Year 2013. The competition is free to enter and supports the Kennel Club Charitable Trust, which relies on donations and looks after the health and welfare of all dogs, funding research into canine diseases, dog welfare organisations and the promotion of support dogs. There are six categories to enter in the competition: Dogs at Work, Dogs at Play, Dog Portrait, Man’s Best Friend, Puppies and I Love Dogs Because… (under 16’s only). Head over to their Facebook page to find out more – and don’t forget to click ‘Like’ to support it! You have to enter by 31 August and the winning images, as well as runners up, will be displayed at Discover Dogs 2013 and Crufts 2014, which is pretty cool. The category winners receive trophies to display on their mantelpiece and runners up will be awarded rosettes and certificates. Heidi Hudson, Kennel Club’s picture librarian, added, “I’ve seen some of our past winners who are also professional dog photographers get a massive jump start in promoting their work through the exposure from DPOTY at Discover Dogs and Crufts. 1. Get down to eye level with your dog. This provides a much stronger angle and enables you to really capture their expression beautifully. 2. Position yourself so that your dog’s face is turned towards the light source. You want to be able to see light in their eyes (especially with dark dogs), which ensures their faces come alive. 3. Try attracting your dog’s attention with a squeaky toy or a whistle. If you want to capture that delightful ‘cocked-head’ expression, a silly noise works wonders. 4. Don’t bring the treats out too early – some dogs become treat- and pocket-obsessed and, once the biscuits are out, their gaze won’t falter from the grub, making it tricky for you to get eye contact with the camera. 5. Always be really patient and ensure you let your dog have a rest and a sniff between shots, so they don’t get agitated and bored. Check out www.facebook.com/DogPhotographeroftheYear and www.dogimages.org.uk – and good luck! There are around eight million dogs in the UK, probably producing three or four poos each per day. Imagine that piled up into a heap – it would take a pretty daring explorer to scale that particular mountain. Got my poo bags at the ready! Dogs Trust says that, for the first time in 10 years, the amount of poop not being scooped on the streets of Britain has increased. They’ve launched a new campaign – along with Keep Britain Tidy – called the Big Scoop, which is aiming to persuade more people to pick up after their dog. TV presenter Ben Fogle, who is involved in the campaign, is unhappy about the amount of poop in his local park and often clears up after other dogs: “I pick up one extra poo each time I pick up after my dog but authorities … need to do more to enforce it.” Collecting more than one deposit is a good idea. But why should it have to be the case? And, let’s be honest, there’s nothing worse than picking up a cold poo that belongs to someone else’s dog. Eww. She also said what a good dog owner I was for picking up the poo. I was surprised – isn’t that what’s expected of all we dog owners? People shouldn’t have to praise us for it. I explained that I believe in karma – if I don’t pick up Bruce’s poo, guaranteed I will tread in someone else’s poo before the week is out. And, in summer when the open-toed sandals come out, that is a particularly terrible prospect. It’s simple really. If we always picked up our own dog’s poo, there’d be no poo for us to tread in. We’d never arrive at a friend’s house harbouring a decidedly offensive odour on the bottom of our shoes and we wouldn’t have to spend the majority of our walks looking at the floor to avoid the stuff. Let’s hope the campaign works. 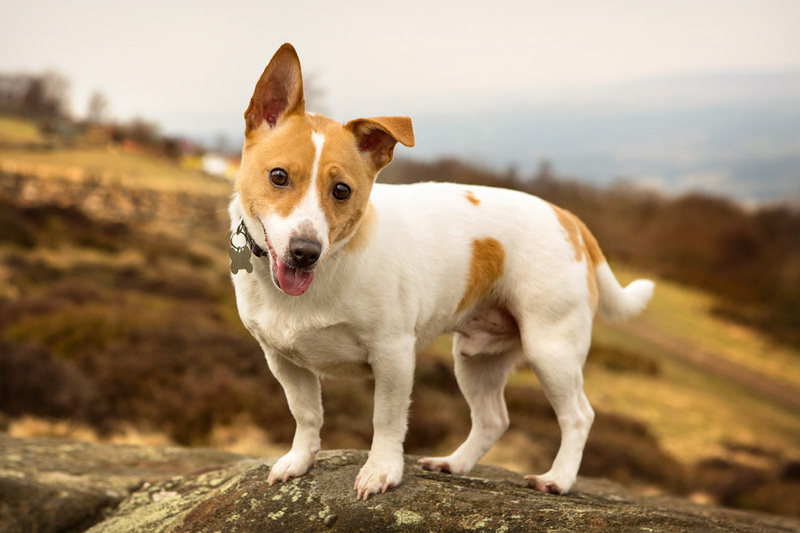 Recently I met a lady whose Jack Russell terrier had just died. Wonderfully, however, the JRT in question had lived to the ripe old age of 19. We got talking and I discovered that this lady had also enjoyed the company of a border collie for an almost record-breaking 23 years. It got me thinking. What can I do to ensure Bruce lives as long a life as possible? I asked this lady what her secret was. She attributed her collie’s long life to a daily routine, no stress (he should have been a working collie but apparently he was hopeless at it, so was more of a pet) and the same food every day for 23 years. However, perhaps surprisingly, oral health appears to play a huge part in increasing the life span of your dog. Because mouths are wet and warm, they present the ideal breeding ground for all sorts of unpleasant bacteria. When a dog reaches three years of age, he or she has more chance of developing gum disease. If plaque and tartar build up, toxins can seep into the body and cause problems for the kidneys, liver, heart and other organs. In fact, some vets think that good oral hygiene alone can add four years to a dog’s life span! Four years! Now that has shocked me. Three minutes a day could add years to my little chap’s life. I apologise now, Bruce, but I’m getting the brush out. It’s time for your deep clean! And, really, dogs seem to have the ability to communicate with their owners just as eloquently as – and sometimes more politely than – most people. 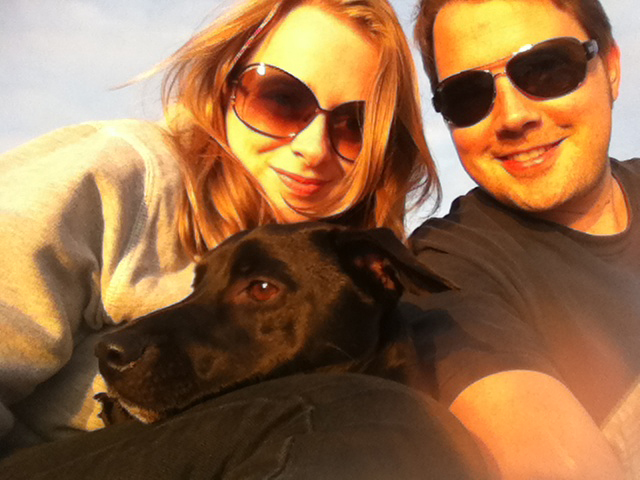 Over time, as pet parents we learn their behaviours and begin to understand what they want. As our understanding grows, we put words to each action. Where at one time we may have scratched our heads perplexed as our dog stared at us with an unknown question, now we can engage in two-way communication, asking our dog if he needs “water” or “the toilet” or “a cuddle” or if he’s “ready for bed”. For us, the confirmation that we’ve understood Bruce’s question is a little hoppity skip or, if he’s sitting on the sofa, a leap to the floor. It’s a useful system for all of us. Dogs have been found to be as intelligent as the average two-year-old child. The cleverest dogs, with the border collie at the top of the tree, can understand up to 250 words and gestures and perform simple mathematical equations. In my opinion, effective communication really helps to build a strong bond between dog and human. Scientists are now in the process of designing computers that dogs can use to operate household appliances and even communicate with their owners. Researchers at the Open University have been awarded a £15,000 grant by Dogs Trust to develop so-called “smart kennels” with computer technology installed. 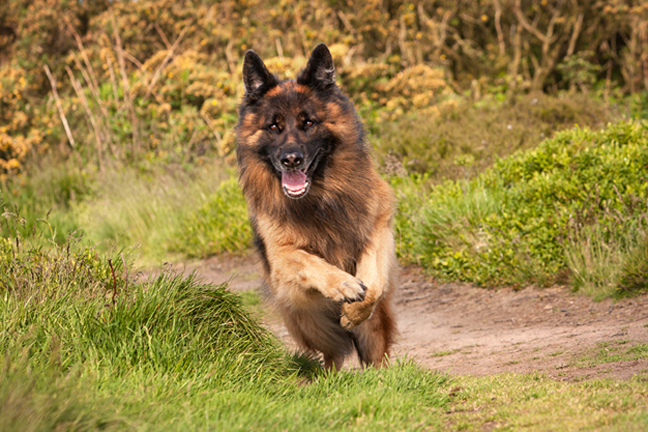 If a dog needs to raise an alarm, he or she will be able to push a button and call the emergency services. The computer is primarily being developed for dogs belonging to people with disabilities, to make it easier for assistance dogs to turn on lights, washing machines and other household appliances – even answer the telephone. Rather than using a mouse and a keyboard, the computers incorporate large bright buttons and touch screen technology. Objects that can be picked up and pulled or shaken also feature. Dr Clara Mancini, head of the animal-computer interaction team at Open University, said, “We are trying to develop something analogous to human computer interaction for animals. It is about giving them more control and getting them to do things better. Alert dogs for example are already used to summon help if their owner gets into difficulty, but we are trying to make it easier for them. If you have technology that makes it easier for dogs to dial 999 and alert the emergency services then it means more dogs can do it. So there you go, mum-in-law. 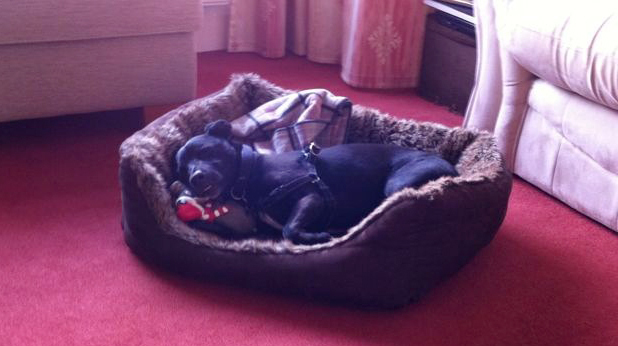 Perhaps one day Bruce won’t simply be nuzzling your knee in the hope you’ll take him for a walk. He’ll be sending you emails demanding it. 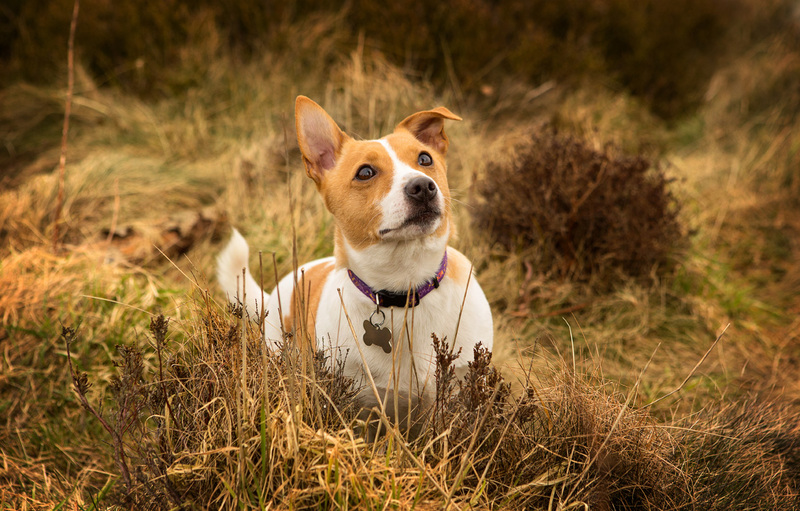 All photographs are copyright of The Mighty Pooch dog photographers: hello@themightypooch.co.uk The Mighty Pooch is a specialist dog photographers based in Yorkshire but happy to travel for photoshoots. Go behind the scenes at some of our shoots here. 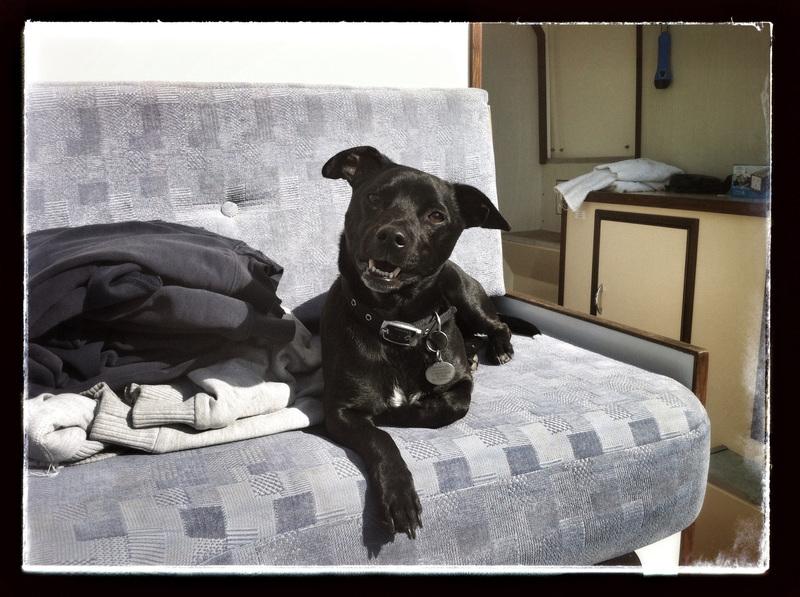 If you’re searching for dog-friendly holidays, boating could be the way to go. This week, Michael, I and Bruce the pooch will be floating from one picturesque lake to the next on the Norfolk Broads at a super-chilled pace in the most relaxing week we’ll experience all year. 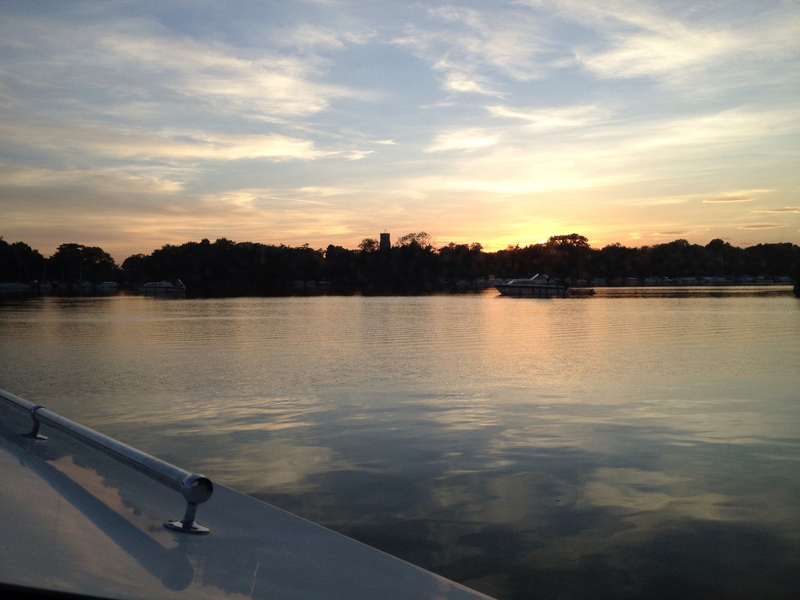 In fact, the Norfolk Broads is my happy place. This week will be Bruce’s fifth or sixth time as ship’s dog and he enjoys the changing view as we cruise down the rivers. He relishes the opportunities to leap off onto banks and jettys for a good sniff and game of fetch. On deck, Bruce wears a small buoyancy aid, which sports a handle on top so we can lift him on and off the boat like a briefcase. Plus, should he fall in the water, we can slip a boat hook under the handle to fish him out. He gets plenty of attention in his little jacket, especially when he sits up front in the kayak as we paddle around the broads. Fortunately, he’s not yet felt the urge to leap in. 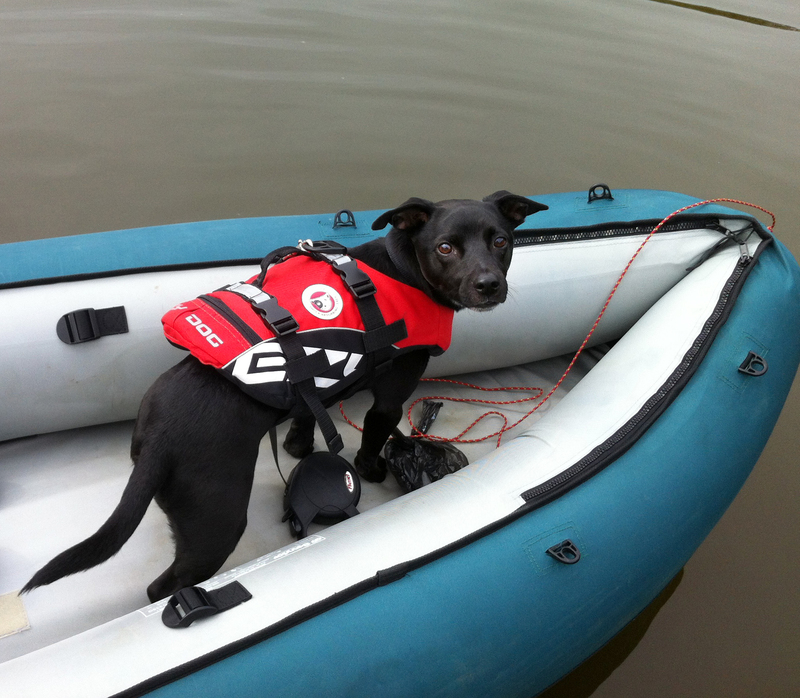 It’s best to buy your dog’s life jacket before your holiday, so you can get your pup used to wearing it and make sure it fits correctly. It needs to fit snugly, as if it’s too loose it will float away from your dog in the water. Equally, it shouldn’t be too snug around the neck, so that your dog can swim comfortably. On the Broads we love to drop our mud weight and sleep anchored out in the broad overnight, so that our only neighbours are the occasional heron or family of moorhens. This does present the issue of Bruce’s bedtime toilet ritual. The first year we took him on a boat, we tried to encourage him to use a puppy pad on deck. That didn’t work – it simply made him nervous – so now we row him to the nearest shore for his last-time loo trip, which he rather enjoys. A poo with a view. 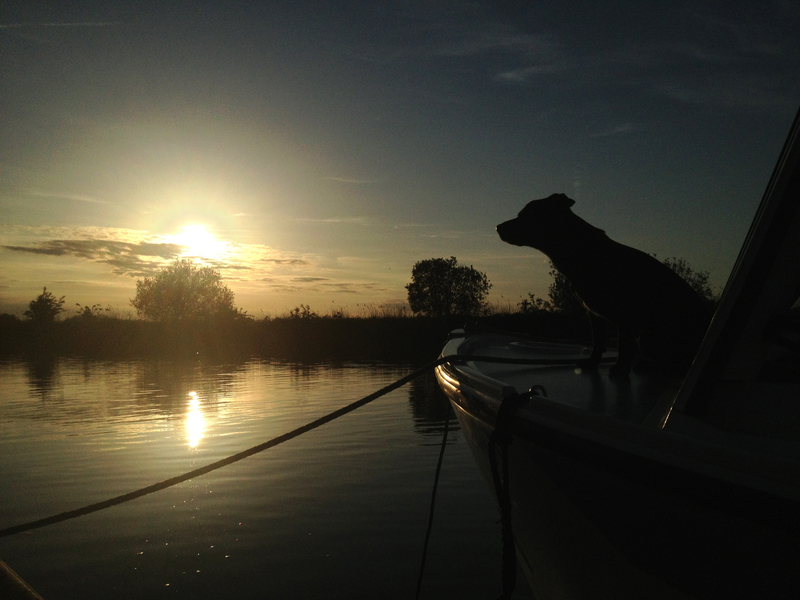 Evenings on the Broads are gorgeous. The view is incredible, we slow cook something delicious, pop the cork on a bottle of wine, turn the iPod to something summery and chilled like St Germain, and watch the sun slowly set. It’s unbeatable. The Mighty Pooch is a specialist dog photographers based in Yorkshire but happy to travel for photoshoots. Go behind the scenes of some of our shoots. All the images in this article are taken on the iPhone and are not examples of our professional work. 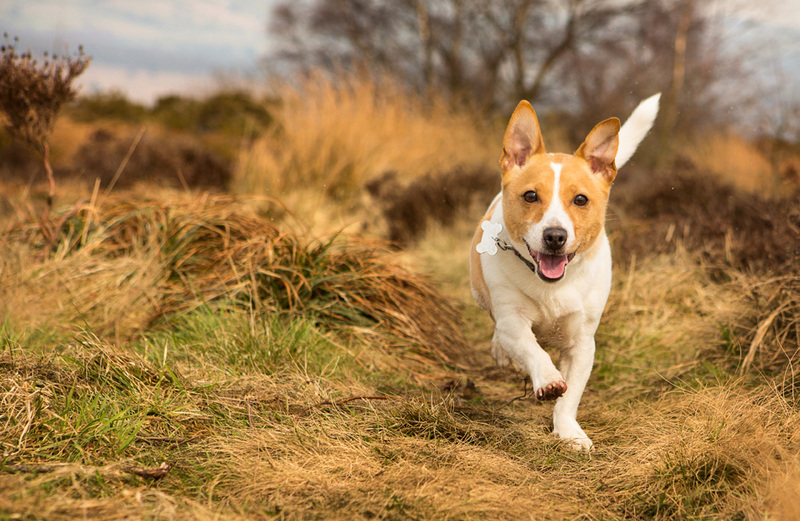 Scientists have discovered that dogs experience a high when they run, much like humans do when the exercise endorphins kick in. David Raichlen of the University of Arizona who carried out the study said, “A neurobiological reward for endurance exercise may explain why humans and other cursorial mammals habitually engage in aerobic exercise despite the higher associated energy costs and injury risks, and why non-cursorial mammals avoid such locomotor behaviours.” Cursorial mammals are those with a physiology that suits running, such as dogs. To those of us who watch our dogs run joyfully every day, however, this probably comes as no surprise. Seeing Bruce gallop at full pelt after his ball time and time again – each time running as fast as he possibly can with no let-up – leads me to believe that he gets a serious buzz from powering across the park. He’s also much happier in general after a good run. Weimeraners, goldendoodles, German shorthaired pointers, vizslas and Jack Russell terriers are all cited as good companions for runs of more than six miles, due to their medium build and well-muscled hind quarters. In contrast, brisk, shorter runs of less than six miles are more suited to greyhounds, English setters, beagles and golden and labrador retrievers, due to their lean, muscular build and penchant for sprints.